December 02, 2017 "Information Clearing House" - The 19th Chinese Communist Party Congress made it clear that the New Silk Roads – aka, the Belt and Road Initiative (BRI) – launched by President Xi Jinping just four years ago, provides the concept around which all Chinese foreign policy is to revolve for the foreseeable future. Up until the symbolic 100th anniversary of the People’s Republic of China, in 2049, in fact. Add in the recently inaugurated Baku-Tblisi-Kars railway and a new deep-sea port to be built in Anaklia, in the Black Sea, with Chinese investment, and we have Georgia as a key logistical hub in China-EU connectivity. It helps that, thanks to the Baku-Tblisi-Ceyhan (BTC) gas pipeline out of the Caspian Sea, Georgia has already been positioned for years as an energy transportation hub. Crucially, Georgia has signed free trade agreements with both the EU and China, with the latter coming into effect at the start of 2018. It is also maneuvering itself to profit from the interconnection of BRI with the Russian-led Eurasia Economic Union (EAEU). Beijing and Moscow formally signed the BRI/EAEU partnership in June last year – although it will take time for that to translate into actual trade and economic cooperation projects, possibly starting in the Russian Far East. The action in the Caucasus was mirrored in Europe earlier in the week as Chinese Premier Li Keqiang and Hungary’s Prime Minister Viktor Orban opened the sixth “16+1” summit, involving China and 16 Central and Eastern European nations, in Budapest. “16+1” is yet another of those trademark Chinese diplomatic “away wins.” Some of these nations are part of the EU, some part of NATO, some neither. 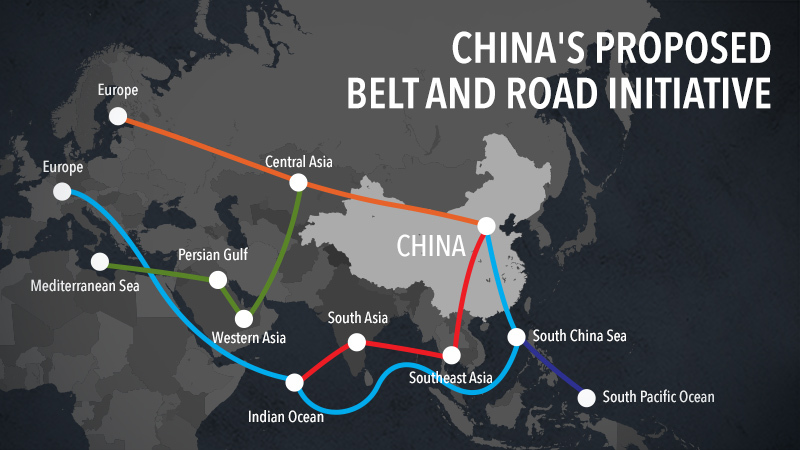 From Beijing’s point of view, what matters is the relentless BRI infrastructure and connectivity drive. Beijing may have invested as much as US$8 billion so far in Central and Eastern Europe. China is having a ball in the Western Balkans – especially in Serbia, in Montenegro, and in Bosnia and Herzegovina, where EU financial muscle is absent. China has invested in multiple connectivity and energy projects in Serbia – including the much-debated Belgrade-Budapest high-speed rail link. Construction of the Serbian stretch started this week, with 85% of the total cost (roughly €2.4 billion) coming from the Export-Import Bank of China. The European Commission (EC) in Brussels predictably objected – claiming the tender process might not have complied with EU rules. The strategic trade importance of Belgrade-Budapest cannot be overestimated. Think container fleets of Chinese merchandise arriving in Piraeus in Greece – a key hub of the so-called Maritime Silk Road – and then being shipped to the EU via Serbia. In the midst of this frenzy of connectivity, it’s easy to overlook a significant historical point: that it was all anticipated by Mao Zedong. Flashback to 1974. That’s when Mao described the world as being divided between superpowers (the US and USSR); intermediate powers (Japan, Europe, Canada); and exploited nations in Africa, Latin America and Asia, which Mao praised as constituting the forces against First World hegemony. Mao placed China in the third world – as Deng Xiaoping told the UN. Chen Gang’s analysis touches on what, by now, is obvious: “The international game around BRI has just begun.” And it goes almost without saying that Beijing’s BRI-driven foreign policy strategy, by turbo-charging China’s cooperation with the ‘Global South,’ is leaving the US, at best, marginalized. Pepe Escobar is an independent geopolitical analyst. https://www.facebook.com/pepe.escobar.77377?